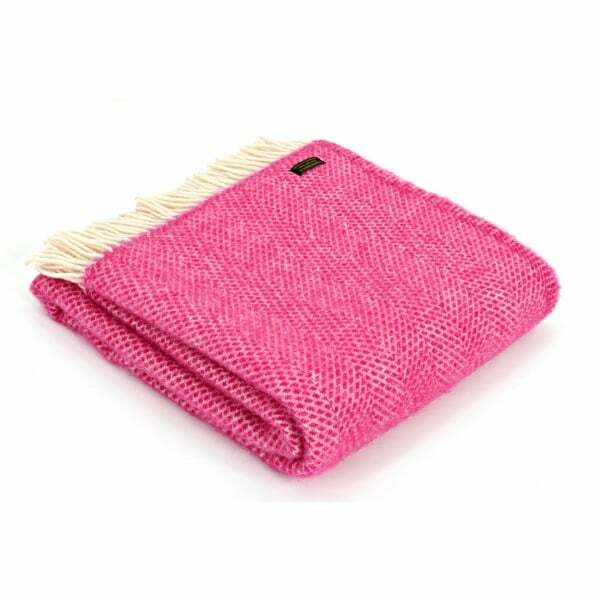 This colourful Tweedmill Pure New Wool Beehive Knee Lap Blanket in Cerise Pink is ideal for keeping yourself warm and cosy at home or on your travels. The blanket is made in the UK from 100% pure new wool using only the finest yarns, making it as high in quality as it is attractive. I had been waiting for this lap blanket to come back into stock as I was desperate to match it with the same full size blanket I had bought. It's a stunning colour and is so cozy, perfect for sitting in the conservatory on a chilly evening, and brightens up the room. Lovely quick delivery so I didn't have to wait long on its arrival.